Competent advisors are a must for every ICO. And we have them at SurruS! 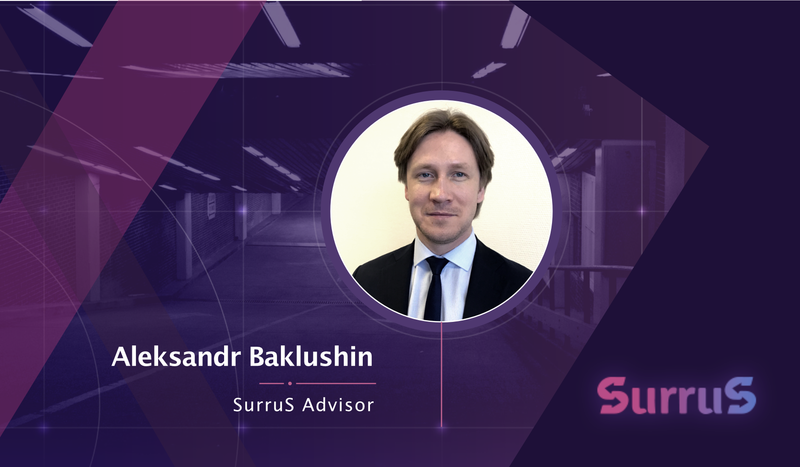 It’s an honour for us to introduce Aleksandr Baklushin, our insurance advisor. Aleksandr is a chief of the Saint-Petersburg Department of «Obyedinyonnaya Strakhovaya Companiya» JSC (United Insurance Company JSC). He is also a presidium member and a car insurance committee chairman at the «SSSP» (Insurer Union of Saint-Petersburg and North-West Region). Aleksandr holds more than 15 years of experience as a senior manager in insurance industry. Aleksandr scrutinized our project and found it workable and in-demand. Now he advises us on the matters of polishing our product and bringing it to the insurance market.